You’ll never again have to pay greedy health food store or internet vendors up to $30 for a tiny four-ounce bottle of colloidal silver! You probably didn’t realize it, but for years, commercial colloidal silver vendors have been ripping you off! The colloidal silver in the tiny four-ounce bottles they sell you for $30 or more costs them only about twelve cents to make! But now, with a brand new Micro-Particle Colloidal Silver Generator, you can make your own safe, pure, high-quality micro-particle colloidal silver for about 36 cents a quart! Compared that to typical health food store prices of $20 to $30 for a tiny 4-oz. bottle, and you’ll see that the first one or two batches you make with your new Micro-Particle Colloidal Silver Generator more than pays for the entire cost of the generator! Do you know of any other health product that literally pays for itself virtually the very first time you use it? 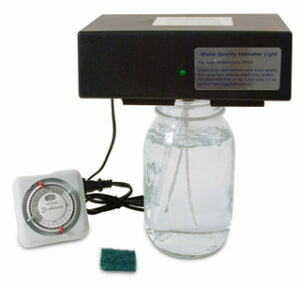 The Micro-Particle Colloidal Silver Generator normally costs $349.95. But for the next 10 days it’s on sale for only $249.95 – a whopping $100 savings! What’s more, the generator comes with a set of pure .9999 fine silver rods that will last you a full year or two (depending upon how often you make colloidal silver). And your set of silver rods will allow you to make an astonishing $24,000 worth of high-quality colloidal silver, or more, based on typical health food store prices of $20 to $30 for a tiny four-ounce bottle. The savings are absolutely awesome! 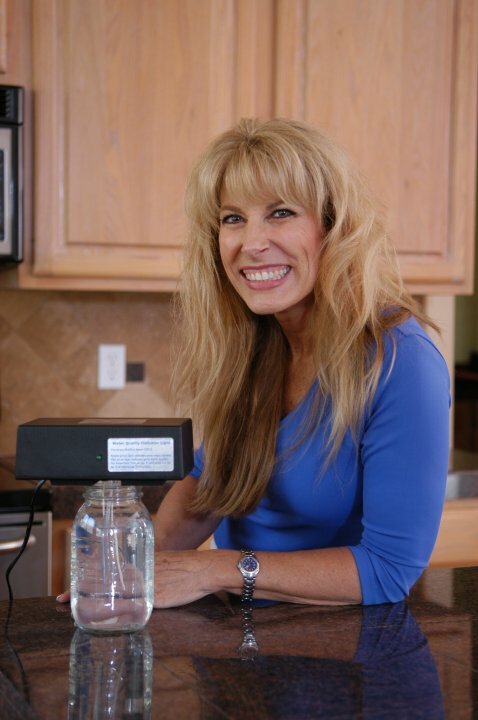 Indeed, you’ll save literally thousands of dollars per year by making your own colloidal silver with your brand new Micro-Particle Colloidal Silver Generator from The Silver Edge! You’ll be able to make high-quality colloidal silver so inexpensively you’ll be able to give it away freely to sick friends, relatives, co-workers, loved ones and more. Heck, you can even afford to bathe in it. In fact, many of our customers simply throw a quart of micro-particle colloidal silver into the bath water and soak in it while bathing, in order to take advantage of its many beneficial healing effects on the skin! And many people (including me) even use it in their hot tubs or Jacuzzis, in place of harsh chemicals such as chlorine or bromine (just add a quart a week, and say goodbye forever to toxic chemicals)! Of course, those are things you can’t do if you’re paying through the nose for your colloidal silver at health food stores or through online vendors. It’s just too darned expensive. But when you can make your own high-quality colloidal silver for just 36 cents a quart using a Micro-Particle Colloidal Silver Generator, you can use colloidal silver for astonishing number of purposes you’ve probably never even thought of (but we’ll tell you about on this site). As Close to Being “Cost Free” As You Can Get! Obviously, having the ability to make your own colloidal silver for only pennies per quart is about as close to being “cost free” as you can get. Best of all, you’ll never have to pay those exorbitant health food store prices again! When you order your new Micro-Particle Colloidal Silver Generator, all you have to supply is a one-quart, wide-mouthed glass canning jar (or a simple glass mayonnaise jar) and the distilled water, which is about a dollar a gallon or so at your local supermarket or at Walmart! That’s it. That’s your entire investment. It works out to about 36 cents a quart for the rest of your life! And because this amazing little device uses only a fraction of a single watt of electricity, it takes less power to run it than a tiny single Christmas tree bulb! It’s like being able to make colloidal silver virtually FREE for the rest of your life! The Micro-Particle Colloidal Silver Generator is so simple to use, anyone can make high-quality micro-particle colloidal silver for less than 36 cents per quart! In fact, we have 80-year old grandmothers who make their own colloidal silver (see testimonials)! And they wouldn’t give up their Micro-Particle Colloidal Silver Generators for anything! That’s because, unlike conventional colloidal silver generators that include complicated dials, buttons and switches you have to constantly adjust, the Micro-Particle Colloidal Silver Generator is built for simplicity and ease of use. And you get a perfect batch of high-quality micro-particle colloidal silver every time! When you’re finished, you’ll have a full quart of high-quality micro-particle colloidal silver. And you can make quart after quart for the rest of your life, for less than 36 cents each! Why should you ever again pay $20 to $30 for a tiny, four-ounce bottle of colloidal silver at the health food store, when you can make your own superior-quality micro-particle colloidal silver for just pennies per quart so quickly and easily? 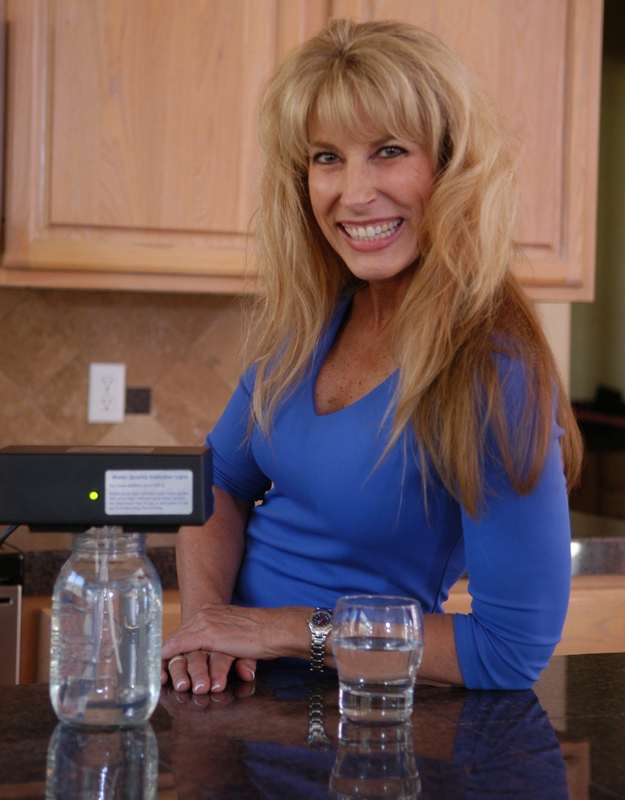 The World’s #1 Best-Selling Colloidal Silver Generator! The new Micro-Particle Colloidal Silver Generator has been the world’s #1 best-selling colloidal silver generator for nearly a decade. No other colloidal silver generator comes close. It pays for itself after your very first batch or two — your total cost to make your first quart is about 36 cents, compared to the $240 you’d pay at a health food store if you bought an equivalent amount (i.e., eight of those little 4-ounce bottles they normally sell for $30 apiece)! It’s safe and simple to operate…No special skills needed…You just set the handy timer, plug it in, walk away, and three hours later you have a perfect batch of therapeutic quality micro-particle colloidal silver…every time! It produces uncommonly small silver micro-particles as low as .8 nm. That’s a fraction of a single nanometer. Compare that to health food store colloidal silver which can contain silver particles as large as 200 to 1,000 nm (or even larger), and you’ll see why micro-particle colloidal silver is the very best there is! Smaller particles mean your body can absorb and utilize up to 99% of the colloidal silver you take, compared to maybe 30% to 50% with many health food store brands. So you’ll never again need to take high concentrations of colloidal silver in order to get it to work! It runs on standard household electricity, but uses less power than a tiny Christmas tree bulb – you won’t even see a blip on your electric bill! It produces uniform, crystal clear batches every single time that store for months, or even years, without losing potency! It cannot produce silver chloride or unsafe substances – you get pure, therapeutic-quality micro-particle colloidal silver every time! In short, there’s nothing else like it on the market today. It’s quite literally the world’s most unique and astonishing breakthrough in colloidal silver-making technology. As Close to “Dissolved” Silver Particles As You Can Get! It’s important to understand that while the silver particles produced by a standard colloidal silver generator can usually be seen under an electron microscope at about 20,000x magnification, it requires a whopping 175,000x magnification using a multi-million dollar Transmission Electron Microscope to see the silver particles produced by a Micro-Particle Colloidal Silver Generator. In other words, the silver particles produced with a Micro-Particle Colloidal Silver Generator are about 750% smaller than standard colloidal silver particles, which means they’re hundreds of times more bioavailable than conventional colloidal silver products. Indeed, they’re just about as close to “dissolved” silver particles as you can get, which means you get nearly 100% bioavailability (i.e., absorption, utilization and excretion), compared to health food store brands in which bioavailability might be as low as 10-40% or lower due to overly-large silver particles! Perhaps now you can see why there are more of these ingenious little devices being sold every month than any other colloidal silver generator in the world today! 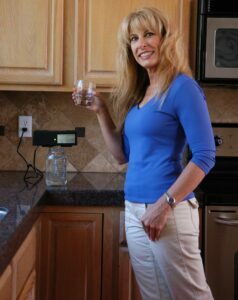 The Micro-Particle Colloidal Silver Generator runs on standard 110 volt household power (you simply plug it into any convenient grounded household wall outlet, just like you’d plug in a toaster), which is then automatically “stepped down” with a built-in transformer to a safe, low-voltage DC current. And unlike most other colloidal silver generators, the Micro-Particle Colloidal Silver Generator gives you a perfect, uniform batch of high-quality micro-particle silver every time. According to the FDA’s National Center for Toxicological Research Annual Report for 2011, in animal studies conducted by the agency only limited absorption of silver particles was observed when the silver particles were relatively large. However, as the silver particle size decreased, absorption increased proportionately. Yes, only the smallest of silver particles were bioavailable when the FDA tested them on animals. That’s because the body has a difficult time absorbing and utilizing larger silver particles. That’s why The Silver Edge stopped selling all other types of colloidal silver generators years ago, and focused solely on the new Micro-Particle Colloidal Silver Generator. All studies we’ve seen on antimicrobial effectiveness as well as the bioavailability of silver demonstrates that the smaller the silver particles ingested, the easier it is for the body to absorb and utilize them and the more effective they are against pathogens. Larger silver particles are treated by the body much as eating dirt would be treated, i.e., they go in one end and out the other. They are of no nutritional value, from a perspective of bioavailability. But the body is able to absorb and utilize smaller silver particles with relative ease. That’s why it’s so important to focus on silver particle size over the concentration of silver in the solution (i.e., “PPM”). What’s more, clinical study after clinical study has demonstrated that the smaller your silver particles are, the more effective they are against pathogens! Too many people think higher concentration, or “ppm,” means greater efficacy of the colloidal silver solution. But if the silver particles are overly large — as they usually are with concentrated colloidal silver solutions — then bioavailability of that solution can be next to worthless. The Micro-Particle Colloidal Silver Generator produces the smallest silver particles of any colloidal silver generator on the market we’ve yet seen, i.e., as low as .8 nm — a fraction of a single nanometer! These are uncommonly small silver particles, even when compared to those found in some of the most popular bottled brands of colloidal silver. So you can take less colloidal silver, and get more benefit! See the laboratory slide at this link for a visual comparison of tiny silver micro-particles v/s conventional silver particles. Or, learn more about ppm (concentration) versus particle size at this link. You No Longer Need to Take High Concentrations! Each three hour batch of micro-particle colloidal silver produces a concentration of approximately 7-10 parts per million (ppm), using a one quart container. And while higher concentrations can be obtained simply by letting the generator run longer, one of the major benefits of this unit is that because of the phenomenal bioavailability (i.e., absorption, utilization and excretion) of micro-particle colloidal silver, you no longer have to take high concentrations of colloidal silver to achieve the desired results! You see, “micro-particle” simply means that the tiny particles of silver suspended in the solution are more finely divided than standard colloidal silver particles. This is very important to understand, because it means that micro-particle colloidal silver can actually provide up to 750x more silver particles per dose (or even more), than a similar batch of standard colloidal silver. And that means you can take smaller, less concentrated doses, and still get far more of the electrically charged silver particles working in your body! In other words, you get all of the benefits of standard colloidal silver, without all of the risks of having to take high concentrations! Let’s say, for example, that you would normally take a one ounce shot glass full of a 20 ppm concentration of standard colloidal silver, as an integral part of your daily vitamin/mineral supplement regimen. With micro-particle colloidal silver, you could drink one ounce of a lower 10 ppm concentration (i.e., 50% of your normal silver concentration), and you’d still get hundreds of times more silver particles to work against pathogens in your body! That’s because the silver particles are so much smaller. You get more, even when you drink less! In short, with the Micro-Particle Colloidal Silver Generator from The Silver Edge, less truly is more. And that’s simply because the silver particles are more finely divided. It’s amazing, I know. But it’s absolutely true! And no other colloidal silver generator on the face of the earth allows you to make such small and thoroughly bioavailable silver particles! But thanks to an astonishing new breakthrough in colloidal silver-making technology, the new Micro-Particle Colloidal Silver Generator allows you to produce true micro-particle colloidal silver — quickly and easily, in the comfort and privacy of your own home — for about 36 cents a quart!. Creating sub-microscopic silver micro-particles with a standard low-voltage DC-current colloidal silver generator was initially thought to be impossible. But The Silver Edge discovered it can be done, if you utilize a slower and more stable rate of silver particle production than what is normally used, while simultaneously eliminating excessive electrical conductivity in the water during the entire colloidal silver-making process. One, you must start the colloidal silver-making process with virtually mineral-free, non-conductive water, which means using pure, high-quality steam-distilled water only. Three, you must be able to prevent the agglomeration (i.e., bonding) of silver particles into larger particles by constantly aerating and agitating the water (i.e., bubbling). Four, you must be able to prevent the “bridging” of silver particles between the two silver electrodes. And five, you must be able to dramatically limit the buildup of electrical conductivity within the solution during the entire colloidal silver-making process. Built-in water resistance tester for making sure your water is non-conductive enough to produce silver micro-particles — The built-in water resistance tester in the new Micro-Particle Colloidal Silver Generator allows you to know immediately whether the water you are using is superior non-conductive steam-distilled water, or inferior mineral-laden and highly-conductive water. If, at the very start of the colloidal silver-making process the green light on the Micro-Particle Generator box glows brightly, then the water is too highly mineralized (i.e., too conductive) for making silver micro-particles. If the green light on the box glows only dimly or even not at all, then you can rest assured that the water has low-to-no mineral content (i.e., extremely low conductivity) and is thus perfect for making silver micro-particles. In short, the built-in water resistance tester allows you to know right from the start whether or not the distilled water you are using is of a sufficiently high-quality to produce silver micro-particles. To our knowledge, no other colloidal silver generator on the market today provides you with this crucial benefit. Slower rate of production — One of the most overlooked rules of making high-quality colloidal silver is that the faster your unit produces silver particles, the larger they’ll tend to be. Most standard colloidal silver generators are calibrated for greater speed of colloidal silver production, rather than for smaller particle size. The significantly higher voltage-to-amperage ratio used in standard colloidal silver generators literally “blows” chunks of silver off the positive silver electrode, rather than allowing very tiny particles to slowly trickle off. This automatically produces silver particles that are frequently too large for the human body to properly utilize. What’s more, as these larger silver particles accumulate in the solution during the colloidal silver-making process, they vastly increase the electrical conductivity of the solution. This in turn increases the speed at which silver particles leave the positive silver electrode, which results in even larger silver particles entering the solution. In other words, it is a vicious cycle of ever increasing particle size. This is why the new Micro-Particle Colloidal Silver Generator utilizes a significantly longer running time (3 hrs.) for colloidal silver production, at a fraction of the voltage-to-amperage ratio used by the manufacturers of most standard colloidal silver generators. By dramatically reducing the voltage-to-amperage ratio, the silver particles merely trickle off the positive silver electrode at a much slower rate and at a dramatically smaller particle size right from the start. And they stay that way throughout the entire three-hour colloidal silver making process! First, the constant aeration and agitation of the water during the entire colloidal silver-making process helps prevent the agglomeration (i.e., bonding) of silver particles as they leave the positive silver electrode. 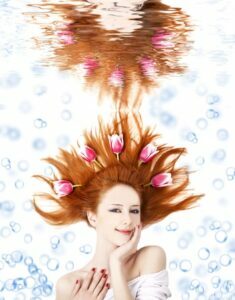 With standard colloidal silver generators, the silver particles tend to accumulate in the water not far from the positive silver electrode, because there is no agitation of the water to cause their wider dispersal. From the very outset of the colloidal silver-making process this fosters particle agglomeration (i.e., the formation of larger silver particles through particle bonding). But with the new Micro-Particle Colloidal Silver Generator, the silver particles are immediately dispersed into wide circulation within the solution by the bubbling action of the built-in aerator. This makes it virtually impossible for silver particles to accumulate near the positive silver electrode and form larger particle agglomerates. Once the individual silver particles are dispersed throughout the solution, the positive electrical charge they carry becomes dominant, and they go into Brownian motion. In other words, from that point forward they are able to repel each other and remain suspended in the solution indefinitely without agglomerating! Secondly, the constant aeration of the water helps break up the electrical “bridging” that always takes place between the positive and negative silver electrodes. “Bridging” simply means that silver particles tend to get caught in the electrical interplay between the two silver rods, and accumulate there, forming larger particle agglomerates that are difficult for the body to utilize. This is one of the biggest problems with standard colloidal silver generators. But the Micro-Particle Colloidal Silver Generator solves this problem completely by aerating and agitating the water constantly during the entire colloidal silver-making process. The “bridging” between the two silver electrodes is thereby broken up completely, and the resulting particle agglomeration is eliminated. 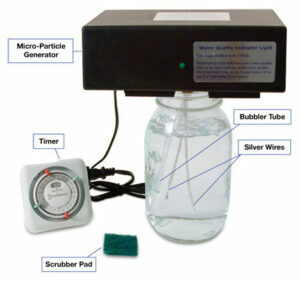 While some manufacturers of colloidal silver generators utilize a clumsy motorized stirring mechanism to accomplish this, no other colloidal silver generator we know of does so as efficiently and effectively as the new Micro-Particle Colloidal Silver Generator with its built in aerator. Third, the constant aeration of the water prevents excessive electrolysis from building up in the solution. This is important, because when using a standard colloidal silver generator, the electrical conductivity of the entire colloidal silver solution is increased dramatically as more silver particles enter the water. In turn, this increased electrical conductivity causes additional silver particles to be drawn from the positive silver electrode at a faster rate and at a significantly larger size. But because the new Micro-Particle Colloidal Silver Generator keeps the entire colloidal silver solution super-aerated during the colloidal-silver making process, the buildup of excessive electrical conductivity is dramatically mitigated. Why? Because air is one of nature’s least conductive elements. Super-aerating the water prevents excessive electrical conductivity from building up, which in turn prevents additional silver particles from being drawn from the positive silver electrode at an excessively fast rate that results in overly-large silver particles. Only the new Micro-Particle Colloidal Silver Generator offers you this highly beneficial innovation! Finally, there’s one more very special benefit from aerating the water during the colloidal silver-making process: Highly oxygenated silver particles work up to 200% better against pathogens! You see, like the mineral iron, silver is one of nature’s most efficient carriers of nascent (i.e., atomic) oxygen. And one of the main ways colloidal silver kills pathogens is through a process called catalytic oxidation. This means silver releases pure oxygen in the presence of pathogens, disabling them much like the bubbling burst of hydrogen peroxide. “It has long been known that oxygen is adsorbed on the surface of silver in its atomic state. Also that oxygen diffuses more freely within silver than within any other metal. Ronald Outlaw, working at NASA/Langley…discovered the most prolific source of nascent oxygen to be metallic silver. Atomic oxygen fits very well in the octahedral holes of gold, silver, and copper. In gold, the electron cloud of oxygen tends to be repelled by the lattice electrons of the gold atoms stopping movement through the holes. With copper, the oxide is formed resulting in a barrier. In short, silver and oxygen go together like peanut butter and jelly! While virtually all colloidal silver products are effective to one degree or another, it should be obvious that the most effective ones would be those in which the tiny, sub-microscopic silver particles are highly charged with nascent (atomic) oxygen. Strangely, however, very few colloidal silver manufacturers bother to take steps to increase the amount of oxygen being carried by the silver particles in the batches produced with their generators. Indeed, in many cases, the production methods used to manufacture colloidal silver actually dramatically limit the amount of oxygen available to be absorbed by the silver. That’s because most colloidal silver manufacturers (and most conventional colloidal silver generators) use a closed-system manufacturing process designed to keep air out while the colloidal silver is being generated. Some colloidal silver generator manufacturers even brag about using such a closed system…why I’ll probably never understand! On the other hand, the new Micro-Particle Colloidal Silver Generator from The Silver Edge is specifically designed to dramatically boost the oxygen content of the colloidal silver as its being made. The built-in bubbler mechanism constantly bubbles air into the solution during the entire colloidal silver-making process, allowing the freshly generated silver particles to absorb as much nascent (atomic) oxygen as they can hold! As mentioned earlier, this robust bubbling action dramatically reduces the buildup of electrolysis during the colloidal silver-making process, thus preventing the silver particles from bonding into larger particle agglomerates. This means you get the tiniest, sub-microscopic silver particles possible in every batch. 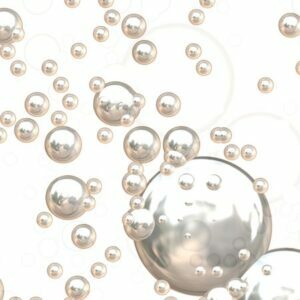 But perhaps more importantly, the bubbling action also infuses the tiny, sub-microscopic silver particles with the highest charge of oxygen possible, increasing the effectiveness of the silver particles against pathogens exponentially. The result? Well, you can read the oft-time astonishing results for yourself on the Customer Reviews & Testimonials page. It’s no wonder the Micro-Particle Colloidal Silver Generator has been the #1 bestselling colloidal silver generator in the world for ten years running! 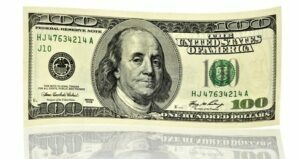 Save a Whopping $100 By Acting Now! The brand new Micro-Particle Colloidal Silver Generator allows you to make all of the colloidal silver you’ll ever need, any time you need it, in the comfort and privacy of your own home, and for only pennies per batch. And now, for the next 10 days, you can save a whopping $100 of the regular cost (see pricing information below)! Instead of paying the usual $349.95, you pay only $249.95 – a savings of a whopping $100! 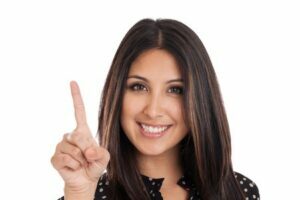 This means you’ll never again have to pay exorbitant health food store prices for high-quality colloidal silver! And because it only costs you pennies to make hundreds of dollars worth of colloidal silver at a time, your first one or two batches will completely pay for the entire cost of your new generator! Comes With Everything You Need to Get Started Immediately! Brand new Micro-Particle Colloidal Silver Generator – the world’s #1 best-selling colloidal silver generator that allows you to make quart after quart of high-quality micro-particle colloidal silver for under 36 cents apiece, for the rest of your life! FREE handy plastic zipper pouch carrying case for easy storage and travel convenience! 16-page Printed Operating Instructions Guide, plus handy tips on making & using colloidal silver! Video Operating Instructions Guide, for those who are more visual oriented and want to see a demonstration! Automatic timer; you just “set it and forget it.” And you get a perfect, uniform batch of high-quality micro-particle colloidal silver every time! Risk-Free, 30-Day Money-Back Guarantee: Try your new Micro-Particle Colloidal Silver Generator for a full 30-days. Make all of the one-quart batches of high-quality colloidal silver you want. You can easily make 20 or 30 or even 40 quarts in that time. If you’re dissatisfied for any reason, call us at 1-888-528-0559by day 30 for a return authorization number, and we’ll refund the cost of the generator in full upon its return to us. One-Year Limited Warranty — You can rest easy because each Micro-Particle Colloidal Silver Generator is built to last for a lifetime, and is fully warranted against defects in parts and workmanship for one full year. If it fails to work for any reason (i.e., short of abuse — they are extremely rugged, but not indestructible) we will fix it or replace it, at our option. The only thing you’ll need to supply is your own steam-distilled water (available at any supermarket, or at Walmart for about a dollar a gallon) and your own wide-mouthed one-quart jar (a simple Ball canning jar works perfectly). We supply everything else you need to produce high-quality micro-particle colloidal silver for the rest of your life. Unlike the cheap little “throwaway” generators and “mudmakers” offered by other companies, these sturdy Micro-Particle Colloidal Silver Generators are made of the highest quality materials and electronics. And they’ve been built to last for a lifetime. You’ll probably end up willing your new generator to your children or grandchildren someday, if you don’t buy them one first! But you must act within the next 10 days to reap this very special introductory $100 savings and get your new Micro-Particle Colloidal Silver Generator for only $249.95 instead of the usual $349.95! So please act quickly and decisively while this very special money-saving offer is still available. Just click the “Order Now” button below. Or, pick up your phone and call the toll-free 800 number below during regular business hours and let our friendly Customer Service representatives assist you.